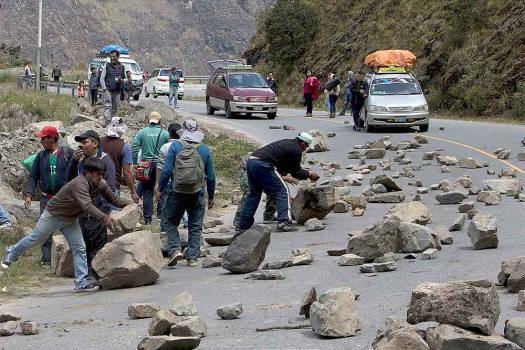 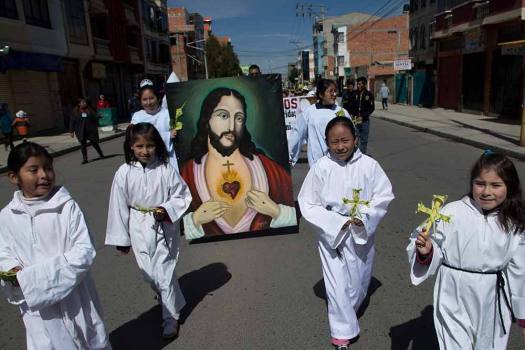 Altar girls carry a Sacred Heart painting of Jesus during a procession before Palm Sunday Mass in El Alto, Bolivia. 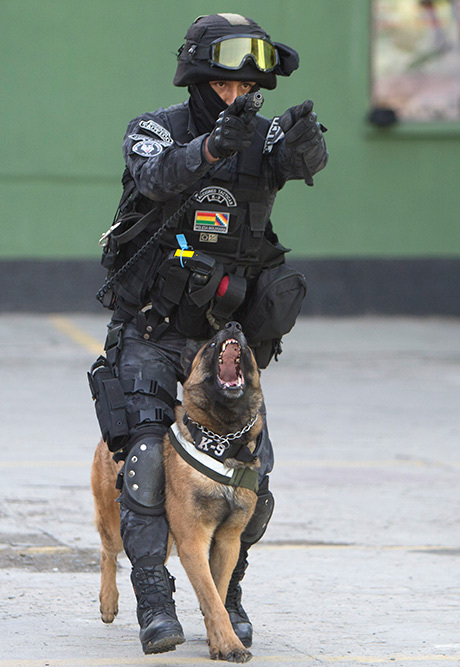 A riot police and his dog take part in a skills presentation of the K-9 unit for police chiefs, in La Paz, Bolivia. 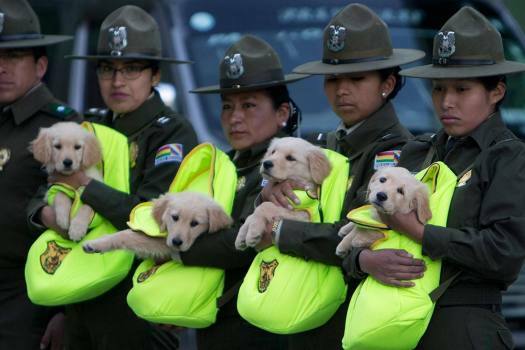 Female officers introduce a litter of Golden Retriever puppies to be trained as police dogs, during a skills presentation of the K-9 unit for the leadership, in La Paz, Bolivia. 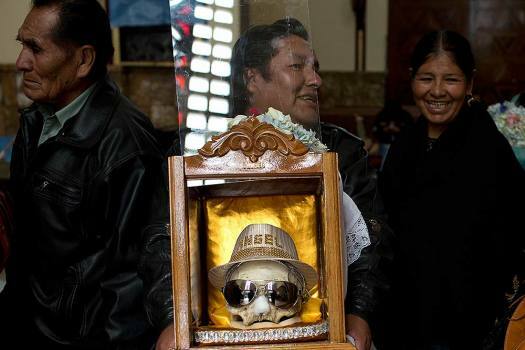 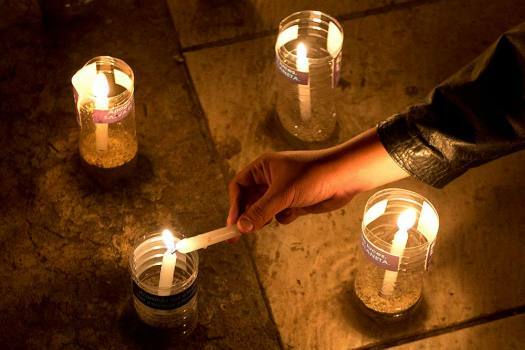 An activist lights a candle, that is part of a design that forms the number 60, to represent the minutes in an hour, during the Earth Hour celebrations, in La Paz, Bolivia. 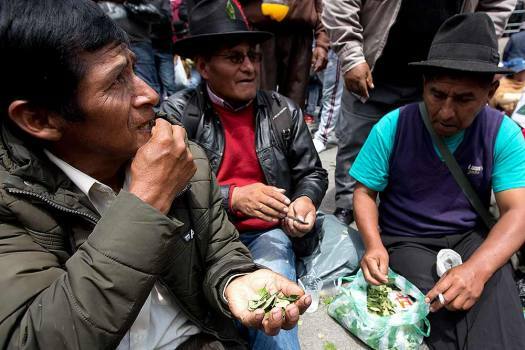 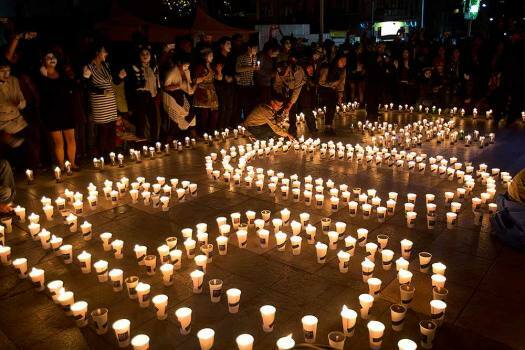 People gather near the arrangement of candles that form the number 60, to represent the minutes in an hour, during the Earth Hour in La Paz, Bolivia. 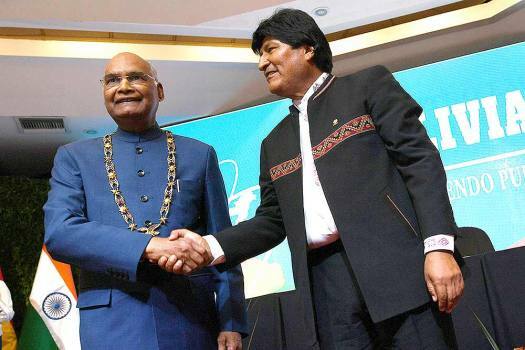 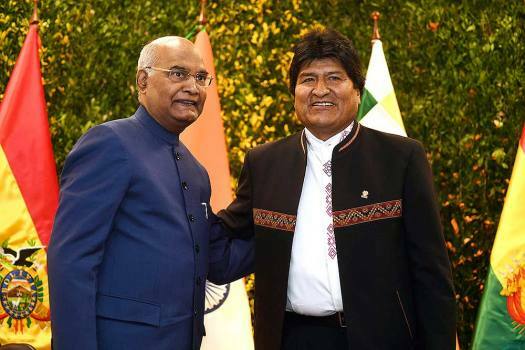 India's President Ram Nath Kovind, left, shakes hands with Bolivia's President Evo Morales,after receiving La Gran Cruz del Condor de Los Andes, in Santa Cruz, Bolivia. 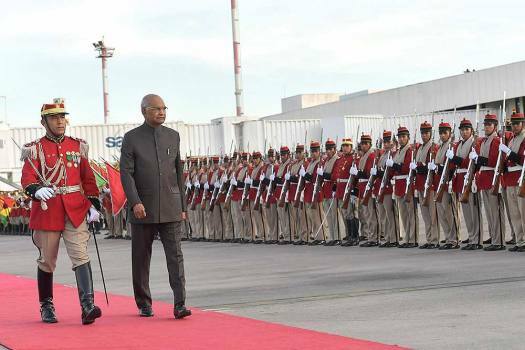 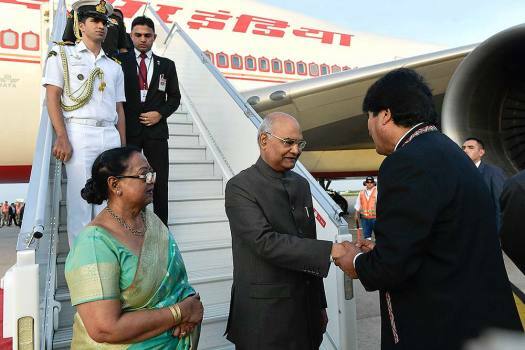 Bolivia's President Evo Morales, right, shake hands India's President Ram Nath Kovind accompanied by his wife, at the Viru Viru international airport in Santa Cruz, Bolivia. 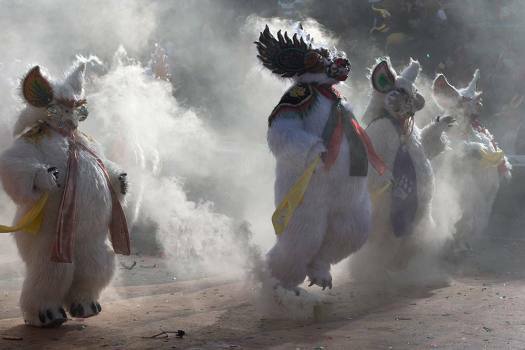 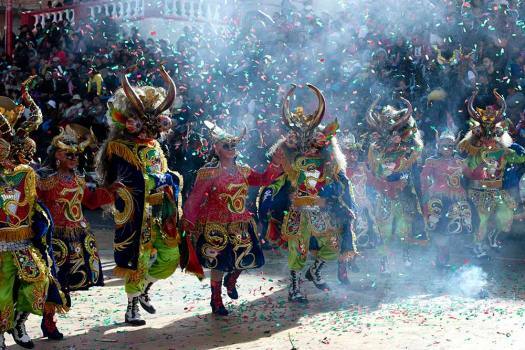 Dancers perform the traditional "Diablada" or Dance of the Devils during the Carnival in Oruro, Bolivia. 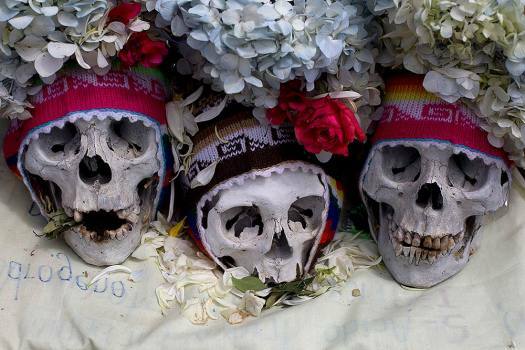 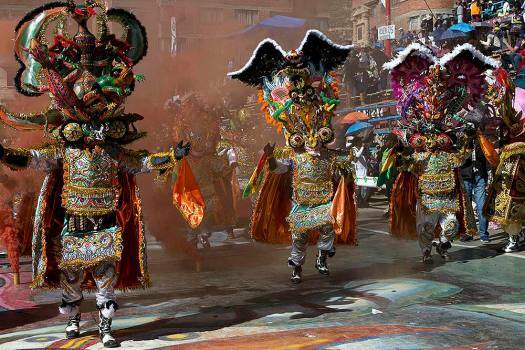 Dancers perform the traditional "Diablada" or Dance of the Devils during Carnival in Oruro, Bolivia. 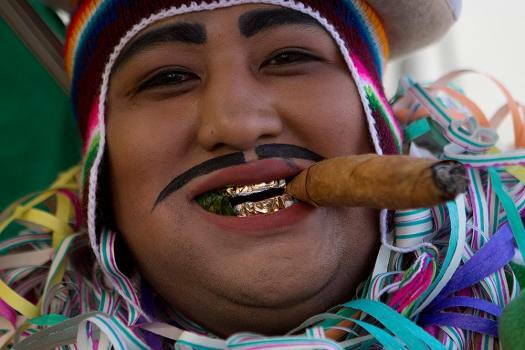 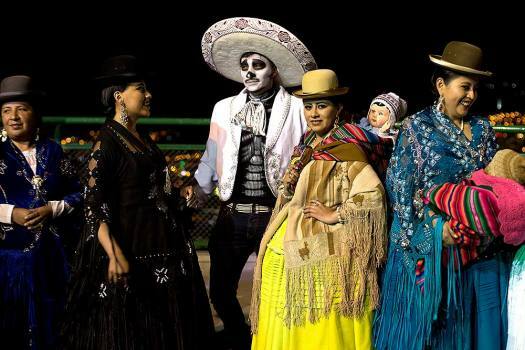 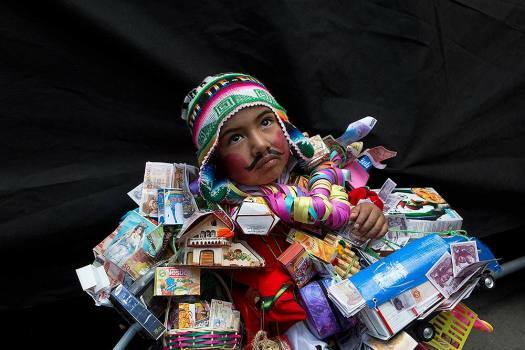 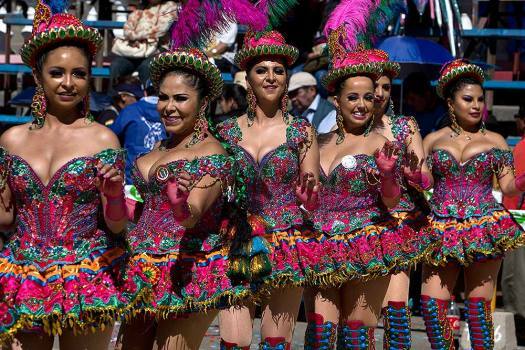 Women perform in the traditional "Morenada" dance during Carnival, in Oruro, Bolivia.